Noodle was treated for lungworm and gained 15 pounds during rehab. RIVERHEAD, N.Y. — A porpoise named Noodle is about to be released off Long Island six months after he stranded himself off Maine. The Riverhead Foundation for Marine Research and Preservation will oversee Noodle’s release Saturday. A police boat will carry the 70-pound harbor porpoise about two miles offshore and set him free. Noodle stranded himself off Brunswick, Maine, last October and was brought to the Riverhead Foundation for rehabilitation. He got his name because at first he was too weak to float, so rescuers built a flotation device for him out of foam noodles. He was treated for lungworm and gained 15 pounds. 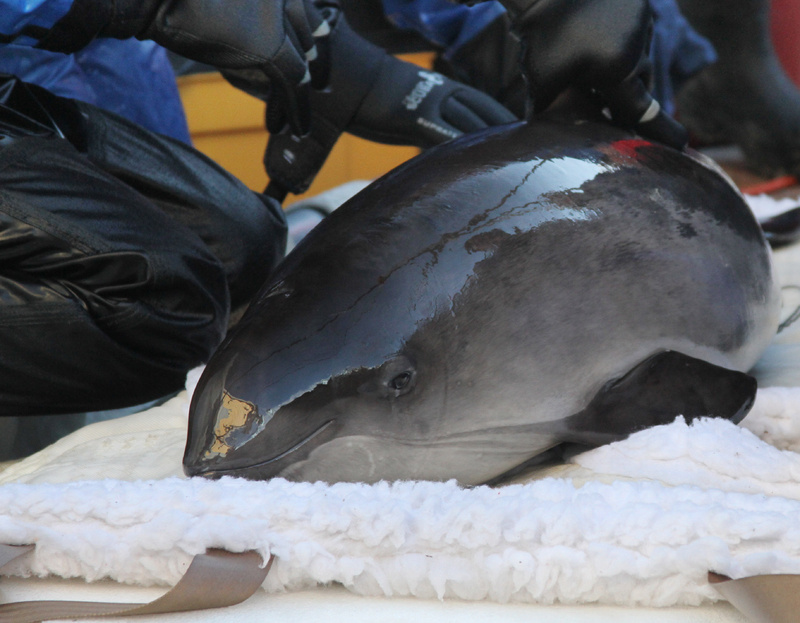 A satellite tag will be affixed to Noodle’s dorsal fin. That will enable the Riverhead Foundation to post his travels on its website.